I've just got to find a bloke to buy me one now! Sorry, came in under boyfriends acct (that I'm not supposed to be on) :). - Anyway, all of these rings are sooo pretty!!! Your blog is wonderful! All your jewellery is quite exquisite - so very dainty. 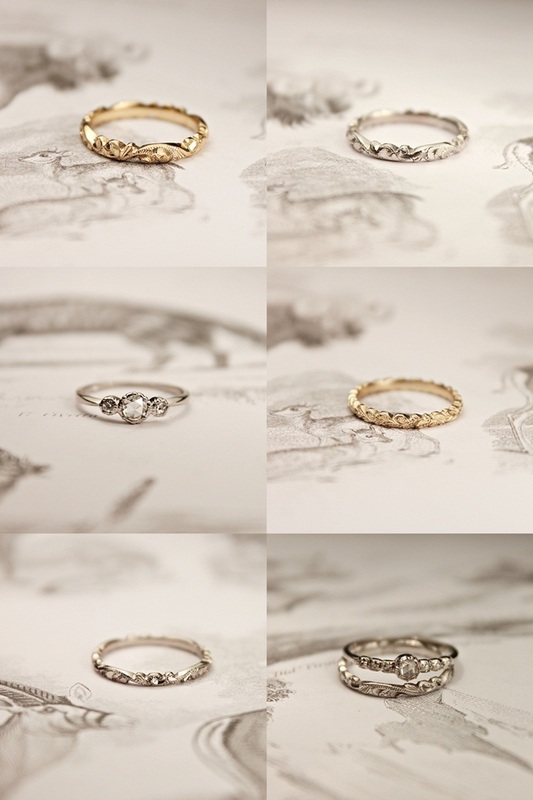 Especially adore the top left ring, with etching. Greetings from the other side of the world, in Australia. These are so beautiful. I weren't already married Rust would be my first choice. ohmagoodness. If I weren't already hitched (7 years on 7-10) I would be directing a particular gentleman to this site daily to drop heavy hints (and I am normally not "that gal"! ).